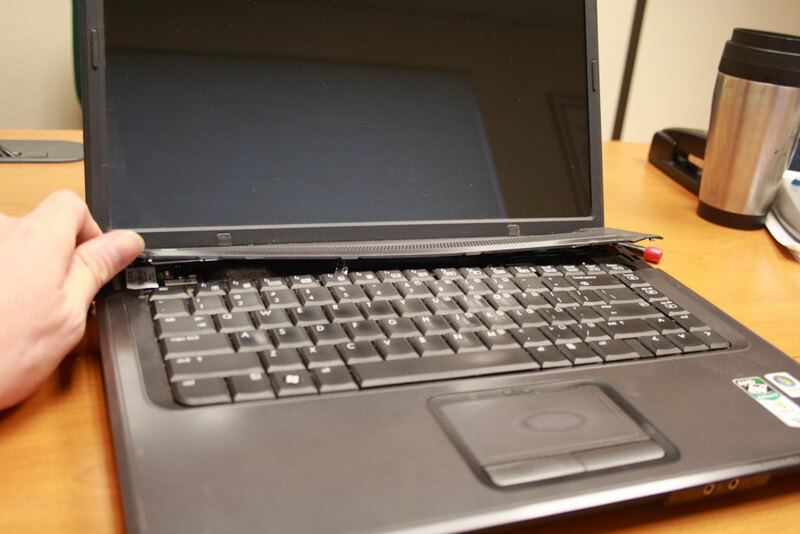 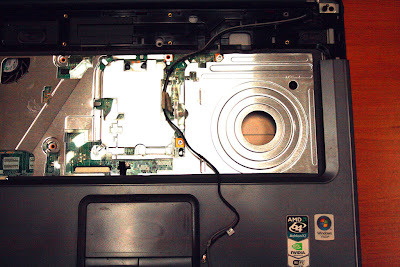 Once you have removed all of the screws from the bottom you can now flip over the laptop and start disassembling the top. 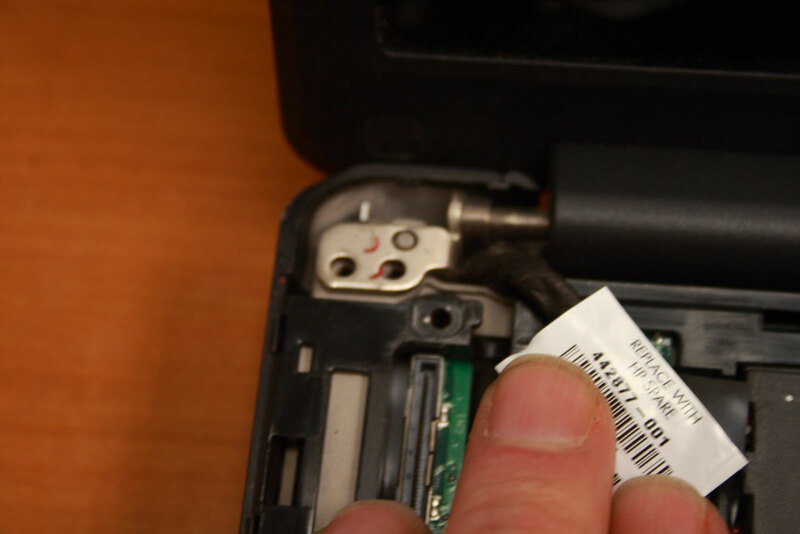 The first thing to do is carefully pry up the power button bezel. 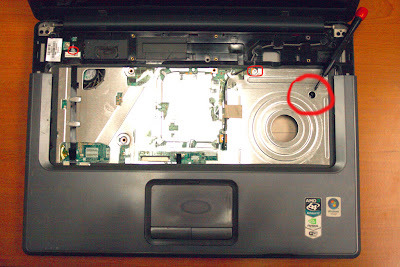 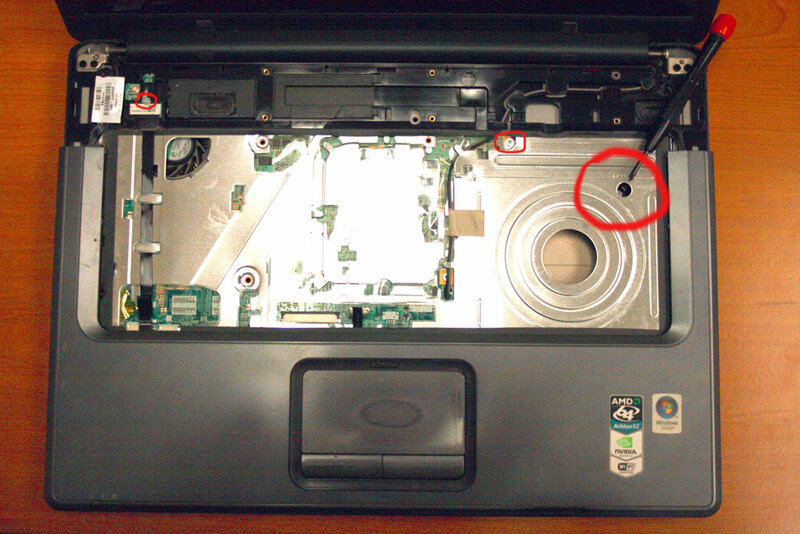 There are 6 plastic fasteners that hold it to the chassis as well as the screws that were on the bottom.. carefully starting around the escape key and the outer edge pry up on the bezel and it will come free.. continue grasping the bezel close to each of the function keys and it will pop out. but DO NOT pull up on the bezel to remove at this time there are still connections that need to be disconnected before you can remove it entirely just make sure it is loose. 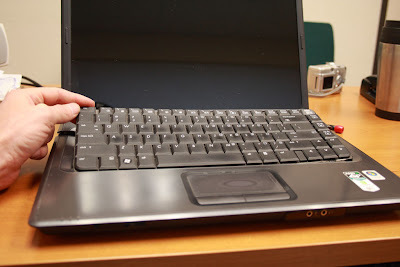 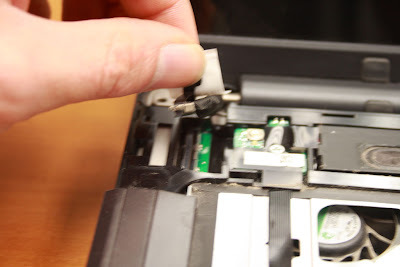 Once the bezel is loose you can get to the keyboard and start prying that up ... there are plastic keepers on each side of the keyboard.. pry up from the center and it should come free.. also with this be careful and do not pull it out yet you have to disconnect the ribbon cable first. 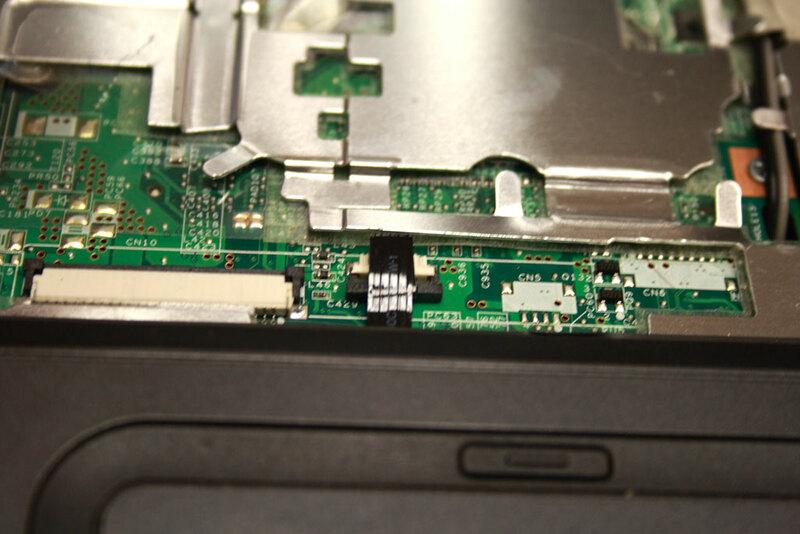 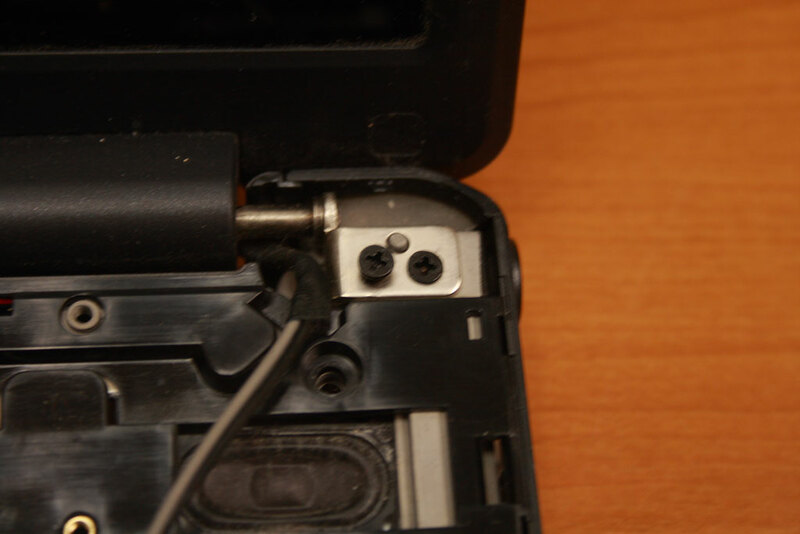 This picture shows the keyboard ribbon cable and the clips to push up on towards the LCD panel to release the cable. 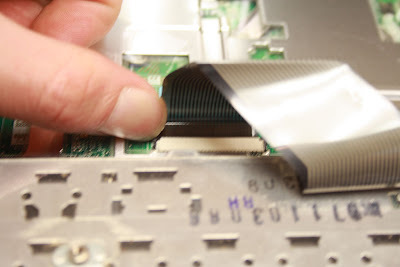 These are the ribbon cables for the top bezel there are no clips holding them in it is all pressure this is another major failure item for these computers .. if the foil on them gets scratched or damaged for one reason or another either the power button will not work or you will not have sound to the speakers.. and on the DV series laptops the QuickLaunch buttons may not work either. As you can see in this picture the cable to the right is foil side up and the Power Button cable is foil side down.. this should not create an issue if you do not disconect the power button circuit board .. but if you are replacing the cables this is something to keep in mind. Disconnect the cable for the LCD panel. 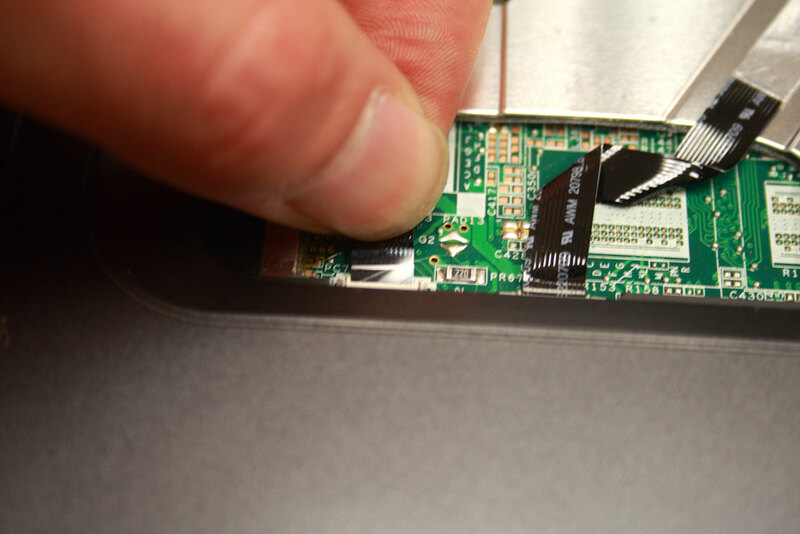 Pull the wireless cables through the system board and chassis. 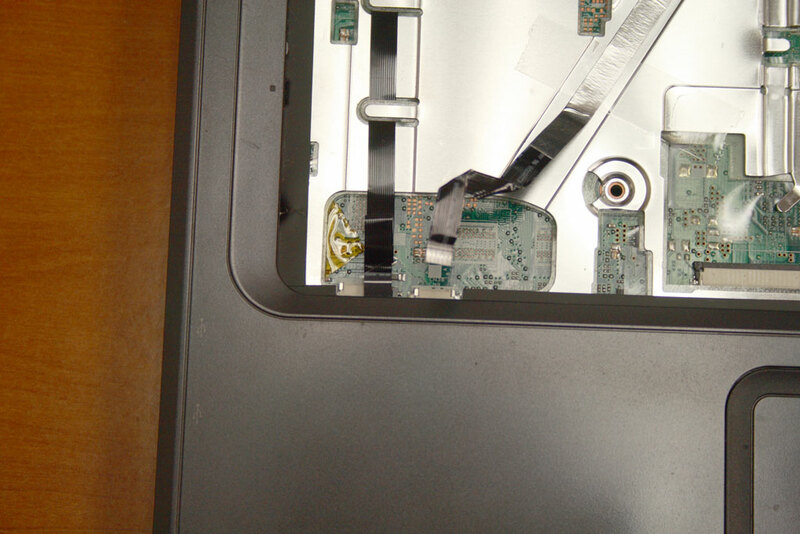 and remove the cables from the keepers on the shielding.